In this page you can see what other builders have created following my builds and prints. 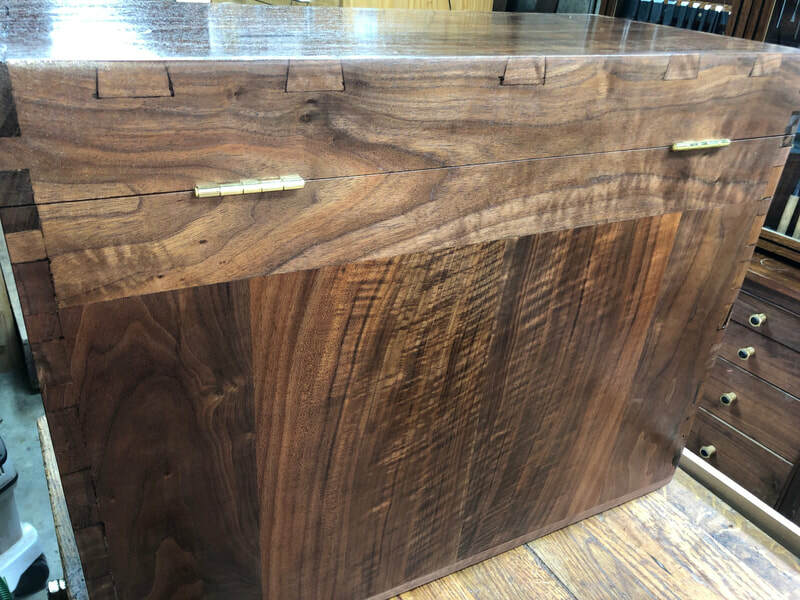 This Curly Walnut toolchest was build by Joel Shappell. The wood was found in the hayloft of my buddies farm. 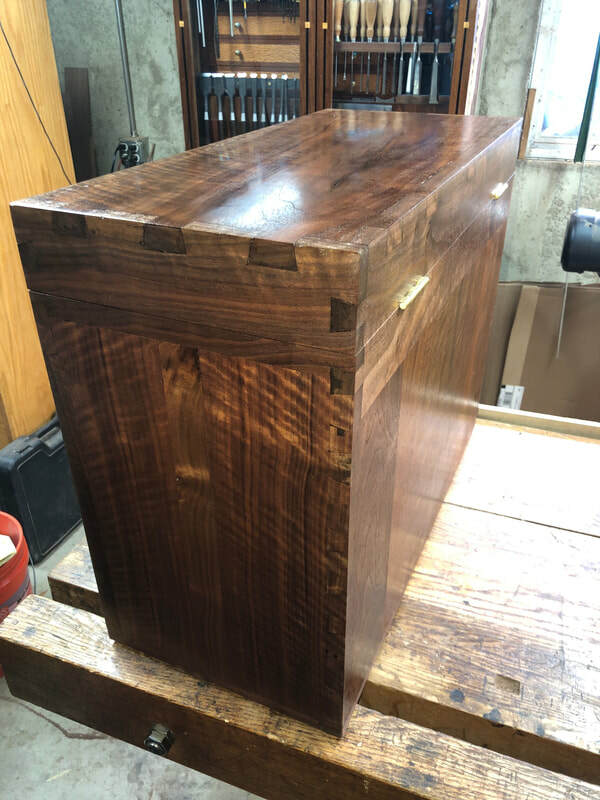 Two large walnut slabs. It was put there by his wife's great grandfather is their best guess. It was challenging wood due to the dry rot and bug holes. 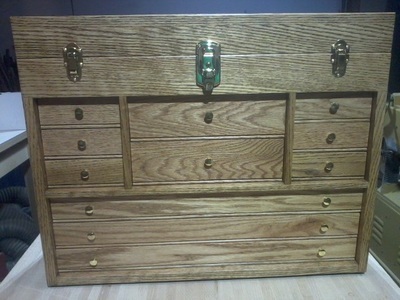 Finish is blonde shellac. 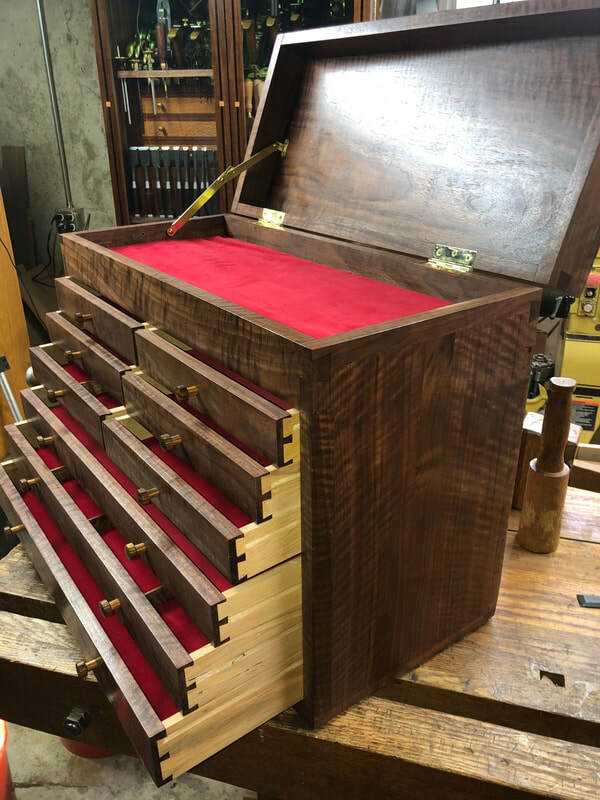 Red velvet on the interior drawers. 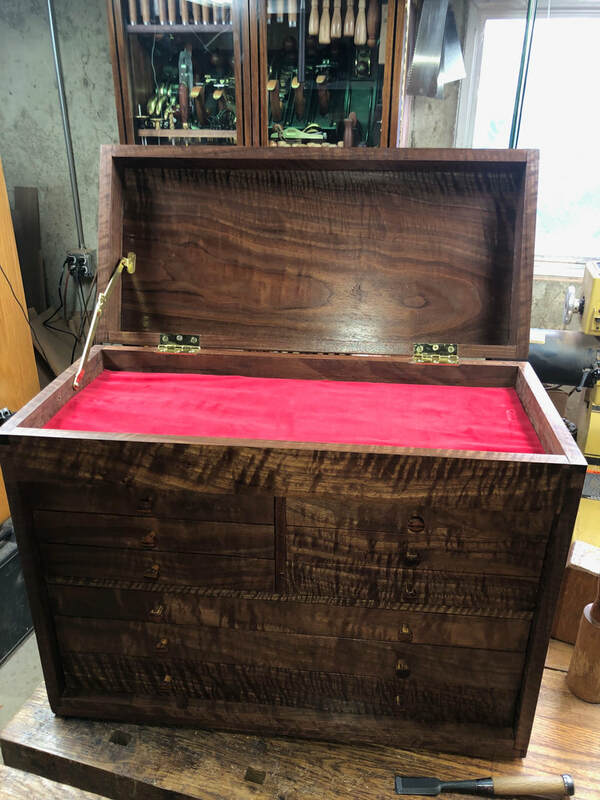 I'll be giving the chest to my buddies family in a few weeks. I purchased your plans as I liked the design and your videos are top notch. I changed the drawer layout. Also the bottom board was changed as I has weak wood on the bottom sides due to excessive bug holes. I also used CA glue and other bits to repair a few places in the woods weak spots which I hope can't be noticed. I hope to make one of your instruments one day. 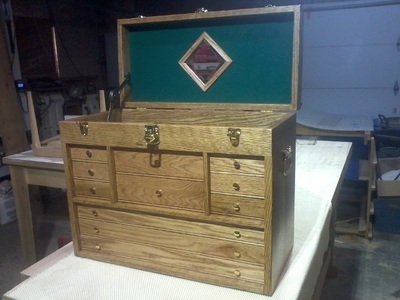 ​This white Oak toolchest was build By Donald Baty. "He was expecting a box that could be carried with one hand. He didn't really know what to expect, but knew it would be nice. He was blown away.....over the top he said. So blessed to pass it on to three other generations. It should be around for 100 years, if treated as we know it should be. 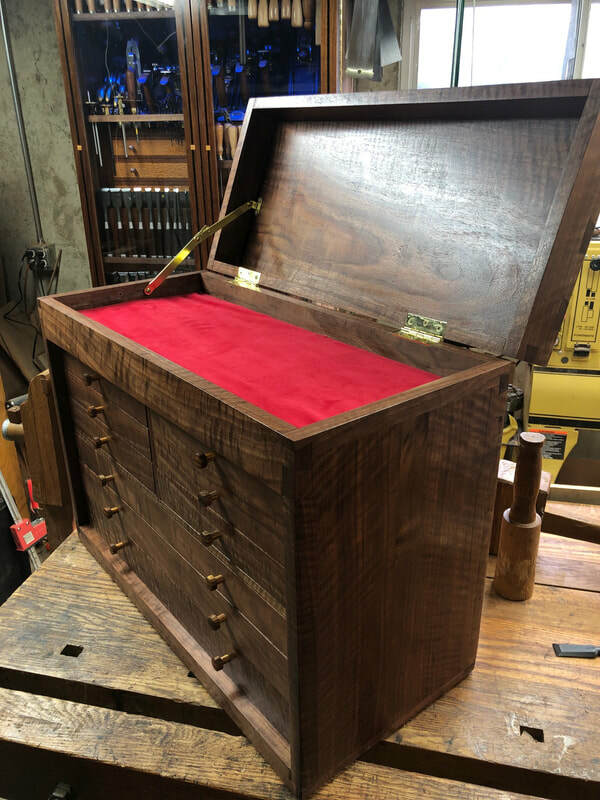 Such a joy to make, I now want one. Thank you for the plans.....a great help. Look forward to hooking up with you in the future. Thank you once again....Donald Baty.."
​Dimentions are in the description of the video. 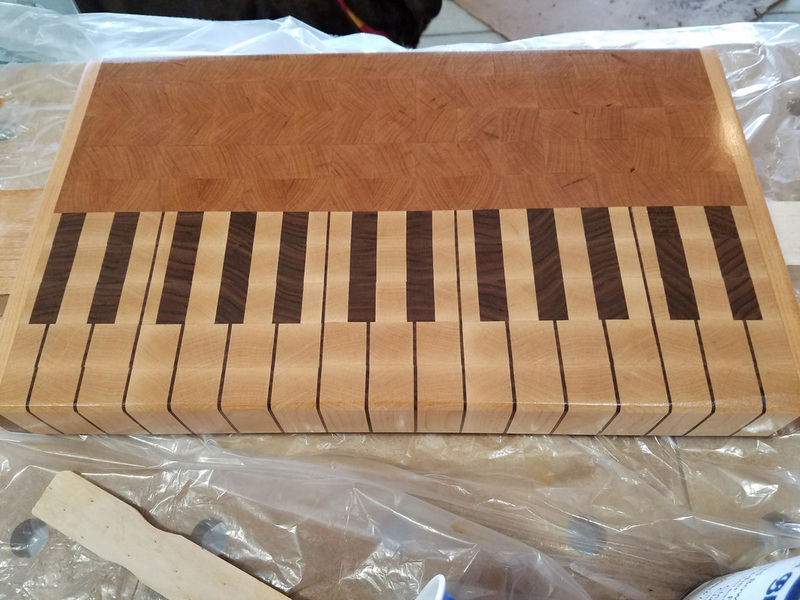 This Piano end grain cutting board was build By Andy Wright. 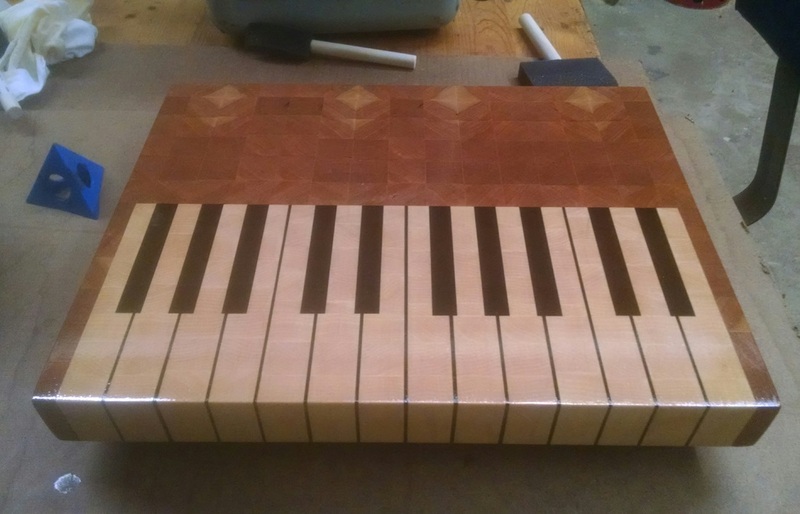 "I built this cutting board as a Christmas gift for my mother. She plays piano and her father (my grandfather) was a piano tuner for over 50 years so this will have meaning for her on multiple levels. The cutting board is approximately 11" x14" and 1.5" thick. It is made from walnut, hard maple, and cherry"
This Piano end grain cutting board was build by Steve Schuster. Steve buid this board as a gift for his mother in law. "She was extremely impressed and almost cried. 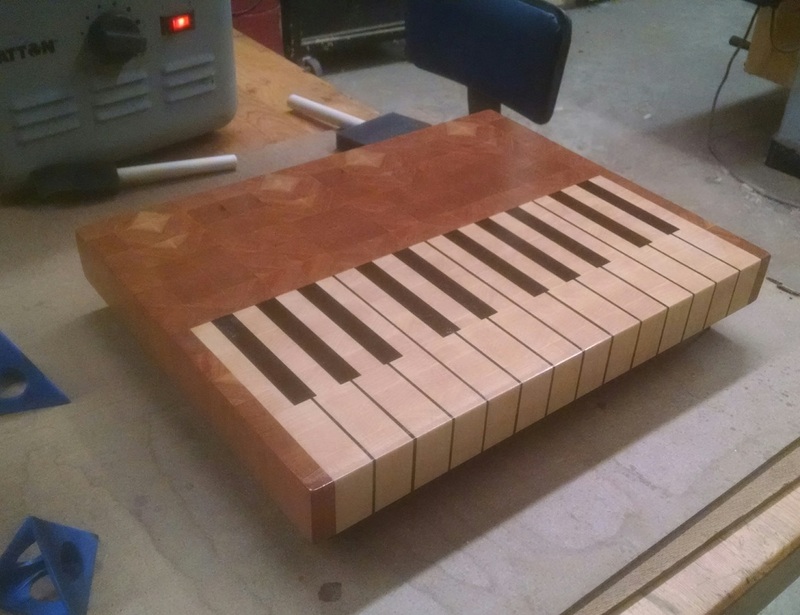 I doubt it will ever be used as a cutting board!" ​Thanks everyone for sharing your projects.